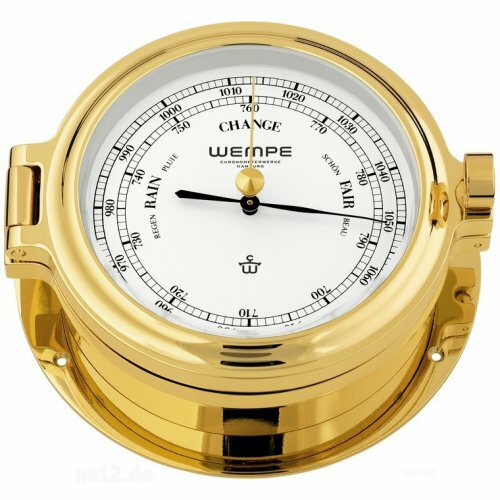 WEMPE barometers are used and valued by ship and yacht owners all over the world for their precise measuring and top-class design. Measure atmospheric pressure at sea or in your home on land with a WEMPE barometer of the REGATTA Series, which is available with chrome or gold plated housing. Both editions are high-gloss polished and 140mm in diameter. 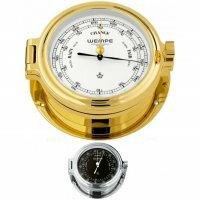 The atmospheric pressure in hPa/mmHg is displayed on an either white or matt-black clock face. 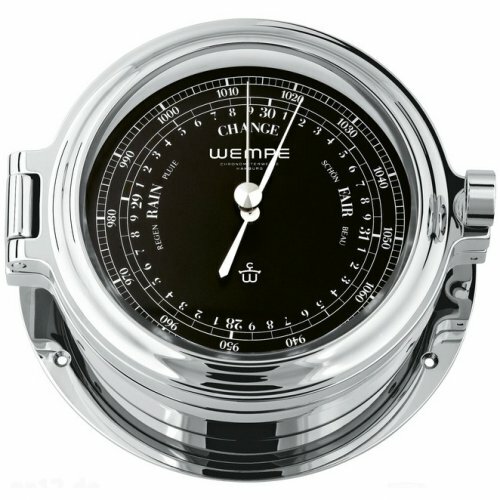 The toggle clasp for easy opening completes the WEMPE REGATTA barometer to be a traditional marine instrument, manufactured in German quality-craftsmanship.